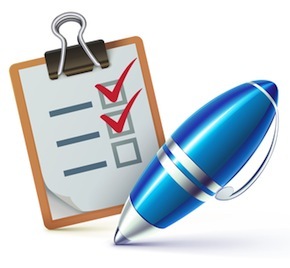 You are here: Home / Notes 101 / What’s In Your Note Buyer Transaction Checklist? Congratulations! The seller has accepted your offer to buy their note payments. Now what? The purchase of a private mortgage note goes through three main phases before closing and funding. First is the quote request. Next up is the preliminary approval process. Once a transaction has received preliminary approval it moves into the due diligence phase. This provides the investor time to verify important information including current taxes, insurance, clear title, lien position, value, payment history, and review of legal documents. When due diligence has been completed, funding will be scheduled. Most investors use a transaction checklist that outlines the due diligence, underwriting process, and closing requirements. So what’s on the checklist? Here is sample we use in our office to outline the standard information and documentation required for the purchase of a seller financed note. Note Buyers always appreciate the submission of documents for the Preliminary Approval Package. They will usually handle the Final Approval Package, but may request assistance. The extent of your involvement in this process will depend on the individual investor and whether the transaction was submitted under the wholesale or retail program. Remember each transaction is different so the checklist is a starting point. If you are buying notes for your own investment it’s important to seek the advice of an attorney and tax adviser. Looking for more document samples? We have over 50 note buying documents in the member’s are of Finding Cash Flow Notes Broker Training that you can download in word format for easy customization with your own information, logo, and requirements. Thanks Tracy. I am in the process of moving from the West Coast of Florida to the East Coast. Do you know of any Real Estate Investing groups in the Ft. Lauderdale area?